It’s already routine for young artists and amateurs: transmitting music, video games, or events via internet. At Prolight + Sound 2018 this technology was utilized at various points, and demonstrated how livestreaming can also be executed on a professional level. “Livestreaming isn’t so widespread in the live market,” declared Tobias Trummer, Manager and Co-Founder of New Media AV. At this year’s Prolight + Sound the distributor presented brands that revolve around the topic of live production and especially livestreaming. At the Live Production Forum in Halle 4.0 the company showed its brands Blackmagic Design, Livestream, Litepanels, Sachtler, Vinten, Anton/Bauer and Autocue, with total coverage for live production processes. 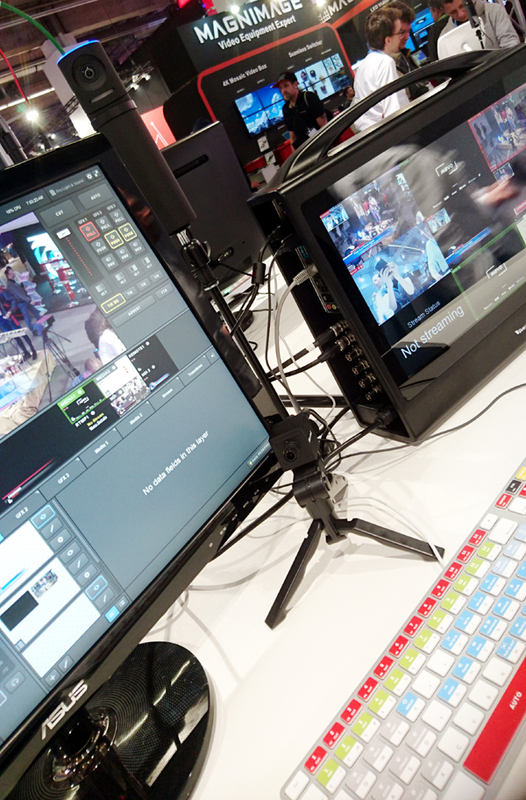 There were also solutions facilitating professional live transmission, to other products where a streaming encoder can be streamed directly via the internet. This year’s fair also demonstrates that he’s not so wrong. 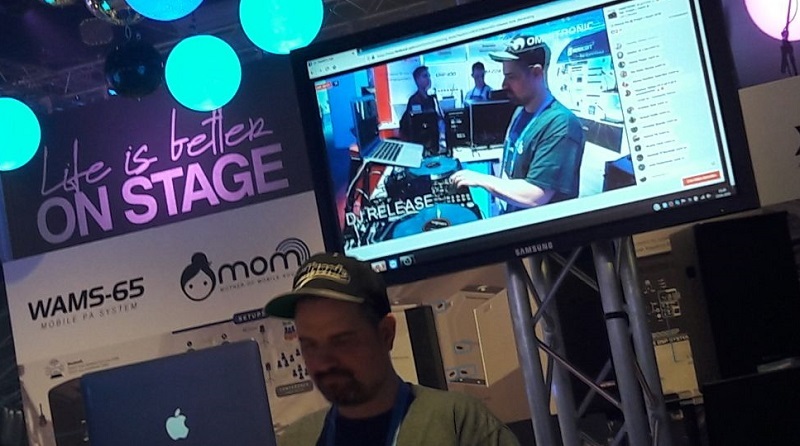 The industry magazine “Production Partner,” DJ Release and Laserworld use the newest technical capabilities for a new form of trade fair reporting – livestreaming. “Production Partner” transmitted interviews, conversations, and reports live from the fair every hour on its own Facebook channel. DJ Release not only played for the visitors in Halle 5.0, also transmitting his set via video stream live on the Omnitronic Facebook page. Laserworld not only used Facebook for the first Trade Fair Live Talk, including with Prolight + Sound Director Michael Biwer, it also used YouTube. The special thing: this way the viewers could interact directly with comments. Livestreaming has found its way into professional event planning and technology. It will be exciting to see how this trend develops in the coming years.